We dream of living on Island Time year round don't we? I suppose we'd take it for granted if it was a reality. Some of us feel guilty if we attempt this feat, unless it's a Sunday. To all those dreamers out there I say let's stop the guilt and grab the moments when we can and just breathe into them. 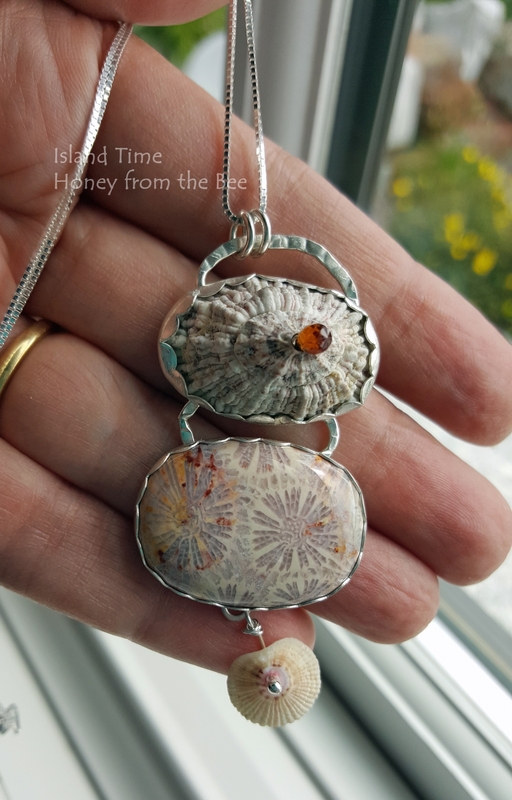 The focal in this pendant is a combination of found shells and a fabulous agatized coral stone from Bali cut by Gary Wilson. It has a cream background with lavender flowers and coral accents. 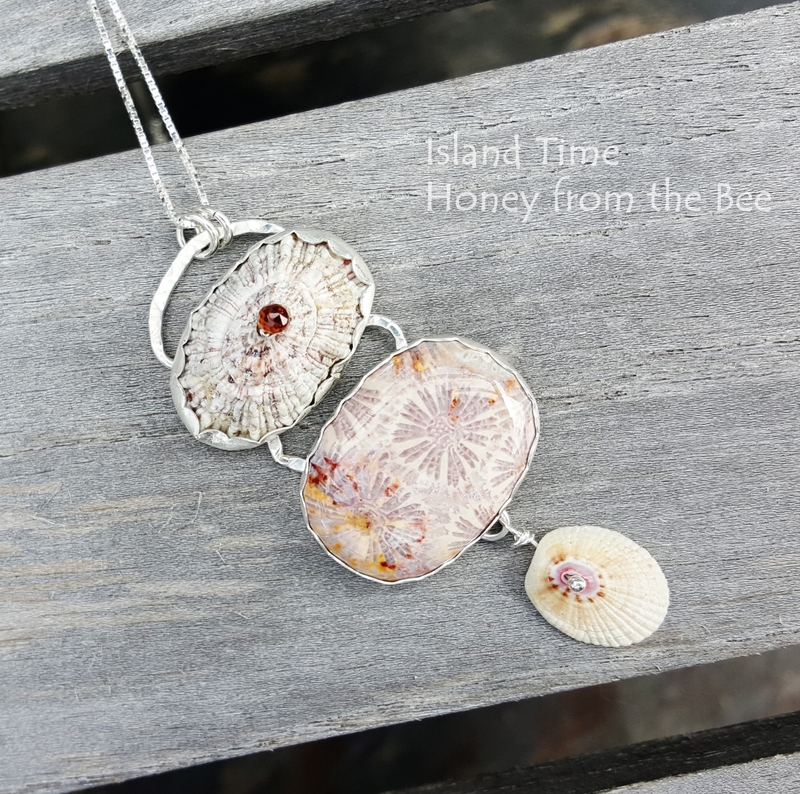 They are formed from ancient corals where the coral is gradually replaced by agate. They come in many colors depending on the minerals and type of environment in which they are created. 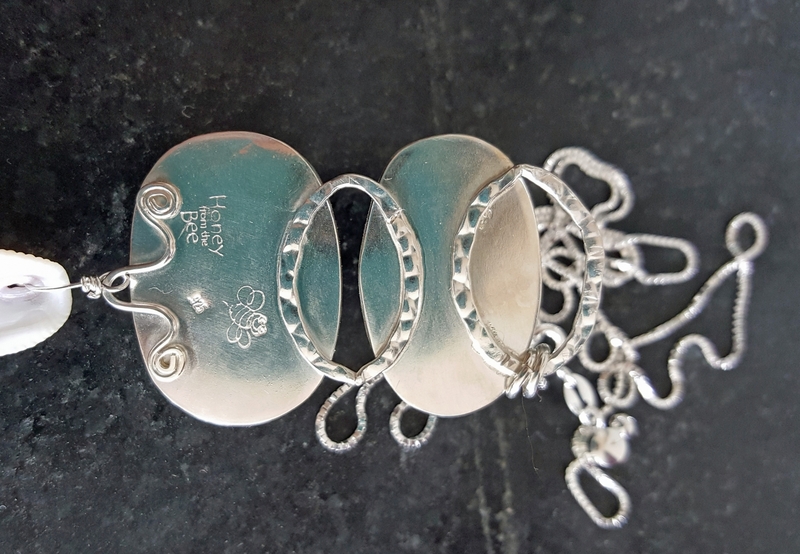 Sterling Silver settings done in my studio to create this organic pendant. 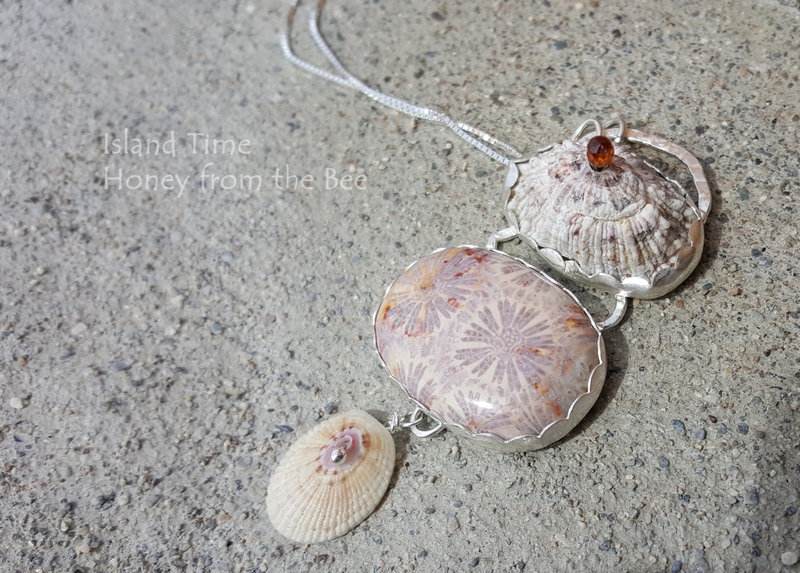 Pendant is 2 3/4 Inches long from the top of the bail to the bottom tip of the dangling shell. It is about 1 1/8 inches at its widest. 22 inch adjustable (down to however small your neck is!) sterling silver box chain.